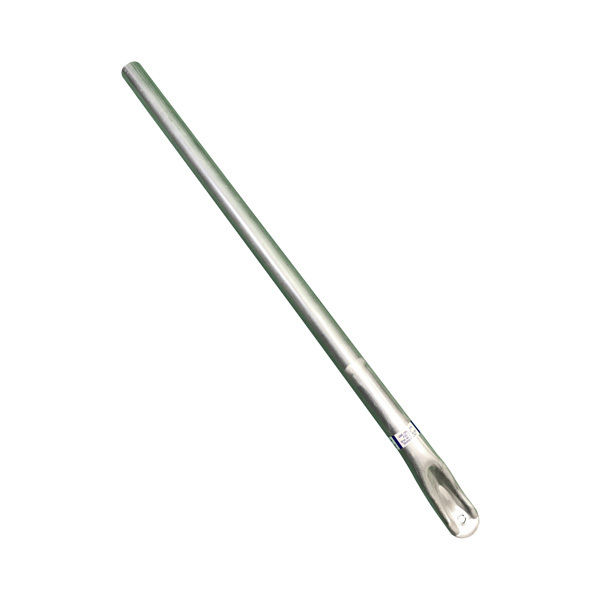 1″ Lower Strut Tube for sizes F14, F16, F18, and D14-22. 14" x 22", 18" x 30", 24" x 40"
The Tenmat FF130E Recessed Light Cover is made out of a fire safe material and was specifically designed to protect your light fixture from insulation in the attic and to stop unwanted air leakage through your recessed light. The FF130E has been fire and thermally tested in accordance with UL1598 and IEC 60598-1 and can be used with IC, as well as Non-IC rated recessed lights (See installation instructions for maximum lamp wattage and types). Most recessed lights are not compatible with insulation and oftentimes start cycling on/off after they have been buried with cellulose, foam, fiberglass, etc. The lights' malfunction is a concern and a safety hazard. Pushing the insulation away is not an effective solution since it creates air passages in the building envelope and wastes energy. According to the department of energy, recessed lights account for 50% of the total thermal losses of a ceiling. Tenmat, the leading manufacturer of high-temperature engineering materials and fire protection components for recessed lights specifically developed the FF130E Recessed Light Cover to solve this problem and protect lights from insulation while simultaneously allowing the insulation to be continuous and uninterrupted over the whole area of the ceiling. Due to this improved air tightness and insulation, Tenmat users experience significant energy savings, noise reduction, and draft reduction. The FF130E covers are fit within seconds and do not require any assembly or special tools.